Critters at Lembeh Resort are able to carry out repairs and manufacture new parts onsite to ensure your underwater camera or video system doesn’t stay out of the water. We also offer cameras, housings, strobes, video lights and accessories for rental. Critters at Lembeh Resort understands that a broken, lost or forgotten piece might normally keep you out of the water – but that’s where we are different. Our goal is to get you up and running and keep you shooting great images throughout your stay. If you have a problem our Camera Center will aim to fix it. 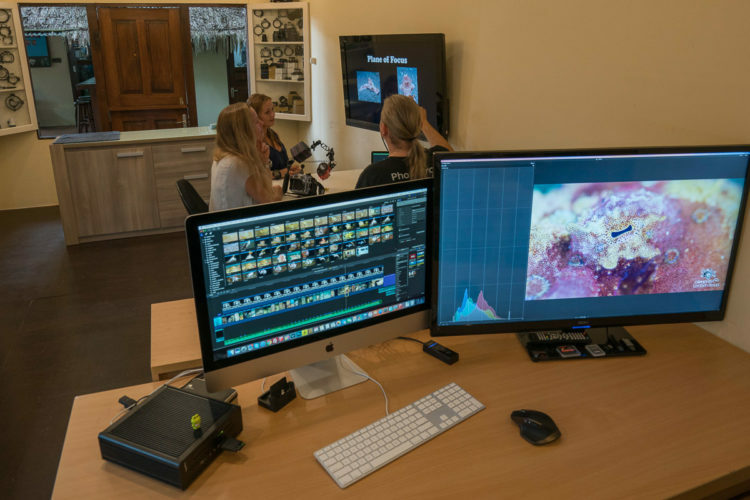 Critters at Lembeh Resort’s extensive underwater photography and video center offers repairs (including a 3D printer to manufacture new parts) and camera, video, lighting and underwater imaging accessories for rental so you can try out new imaging equipment at any time. Underwater photography is in our DNA at Critters at Lembeh Resort and all of our guides understand not only what you are looking for, but also what it takes to successfully photograph it. Whether you are new to underwater photography or a seasoned pro, we can provide support to maximize your underwater photography experience in Lembeh. This is the premiere muck diving destination in Indonesia for divers who love not only critter diving but also underwater photography, macro photography and wide angle photography. Our in-house Photo Pro, Fred Juneau is an expert in all types of underwater photography. Fred has years of experience and can provide professional (and friendly) guidance and carry out equipment repairs. He is originally from Canada and has worked and lived in South East Asia since 2010. Fred is also available for private underwater photography and videography courses which can be tailor made to suit your needs. Critters at Lembeh Resort’s fully equipped Camera Center offers much more than rentals and repairs. Please click below to read more about our services. Our extensive Camera Center is home to a 3D printer for manufacturing spare parts onsite to ensure you can keep shooting during your stay. Private, one on one underwater photography courses with our Photo Pro are available for all levels, from a compact camera through to a professional DSLR rig. 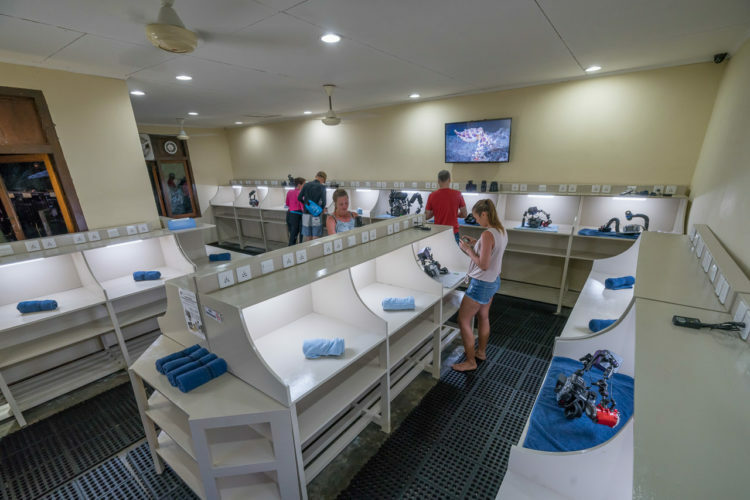 Our spacious camera room is just steps away from the boats and is the perfect place to keep, organize and set up your camera, housing and photography accessories. Private workstations with plentiful power plugs available for everyone and there are of course rinse tanks and air guns just outside the doors.